and join them for a play date with Little Tikes new Toy Range for the afternoon. I went into London with plenty of spare time so when i stopped by a ‘famous Scottish restaurant’ (as my OH likes to call it) to pick up a snack for MM and myself I bumped into the lovely Hannah from Budding Smiles well more like I approached her after recognising her from a selfie she took on the train into London and posted on Twitter. After a little detour due to too much chatting we where one of the first ones to arrive at Molly&Rose and Molly-May got stuck right in checking out all the colourful toys. 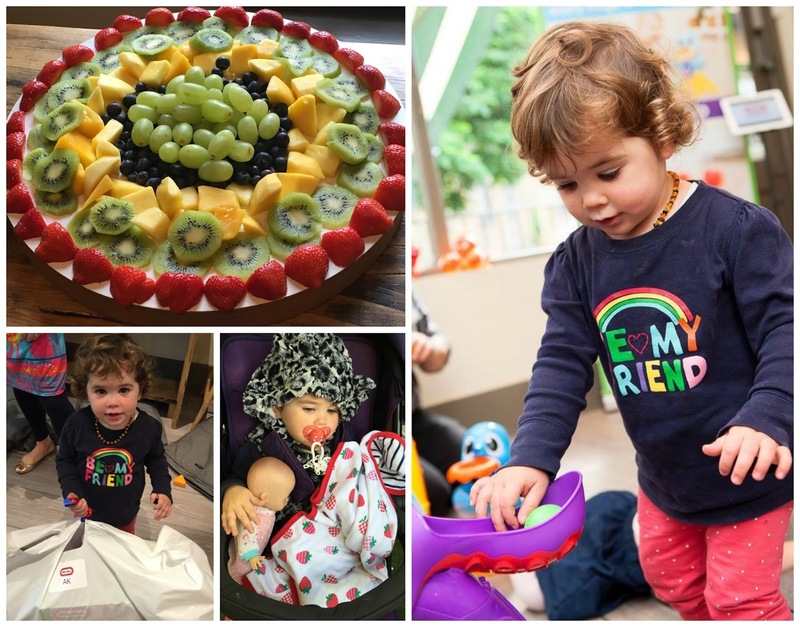 We got to meet Dr. Amanda Gummer who is a independent child development and play expert and partnered up with Little Tikes to put the new Lil’ Ocean range through its paces. 3-in-1 Adventure Course (RRP: £79.99). Dive into adventure! 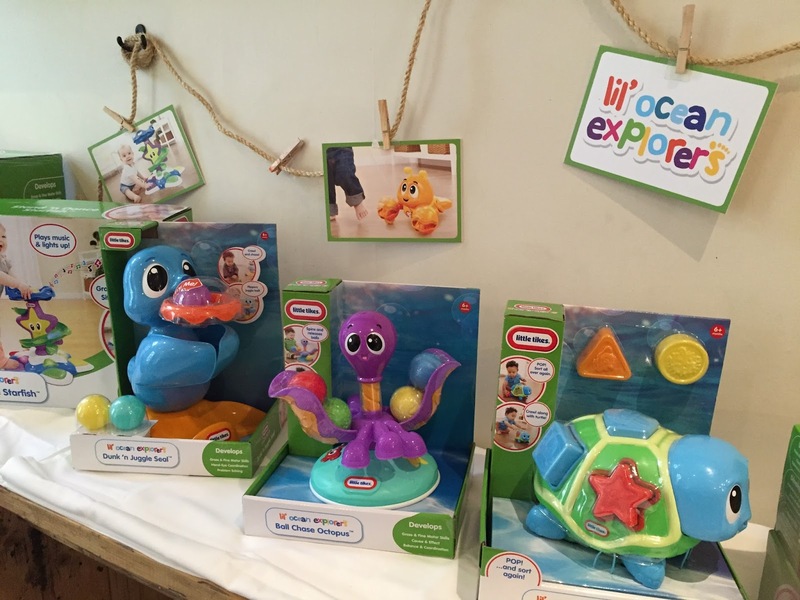 The Lil’ Ocean Explorers 3- in- 1 Adventure Course develops and entertains your baby throughout 3 key developmental milestones: sitting, crawling and standing. Our verdict: With her 22 month Molly-May was very interested in the outer bits of the Adventure course and enjoyed popping the balls into the round tunnel & through the octopus. 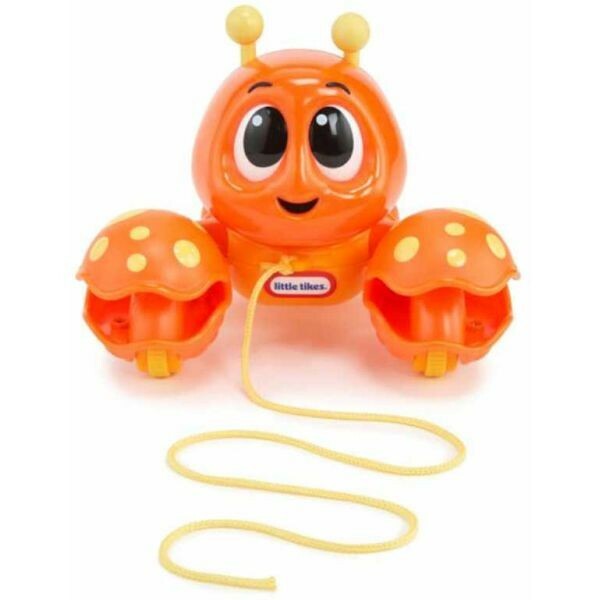 Catch Me Crabbie (RRP: £14.99). There’s so much fun to be had chasing after this clackin’ crustacean. When the motion sensor detects baby approaching, it moves side to side clapping its claws and playing music. Our verdict: I didn’t manage to get a picture of Crabbie and her newest fan Molly-May she was intrigued how the crab stopped and moved into the other direction! Dunk ’n Juggle Seal (RRP: £19.99). Little ones will have a ball with Dunk ‘n Juggle Seal! When baby dunks the balls in the hoop seal starts clapping its fins to music. The balls are then released down to the two way ramp and across the floor for baby to chase! Our verdict: This was defiantly one of her favourite and she waited impatiently that the Seal “released” the ball so she can pop it back into the hoop over and over again. Pull ‘Chatter Lobster (RRP: £9.99). 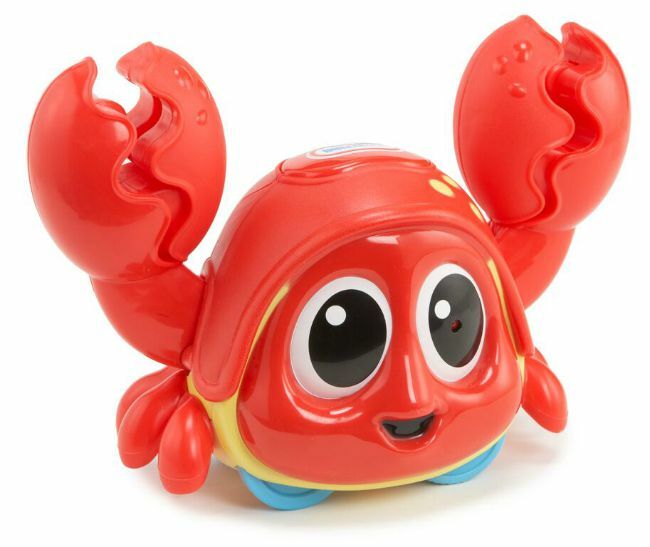 This fun pull-along lobster friend encourages baby’s first steps and for those already up and about he makes those first adventures on foot fun and exciting! Pull ‘n Chatter Lobster has a bobbing tail and claws that clack when being pulled. 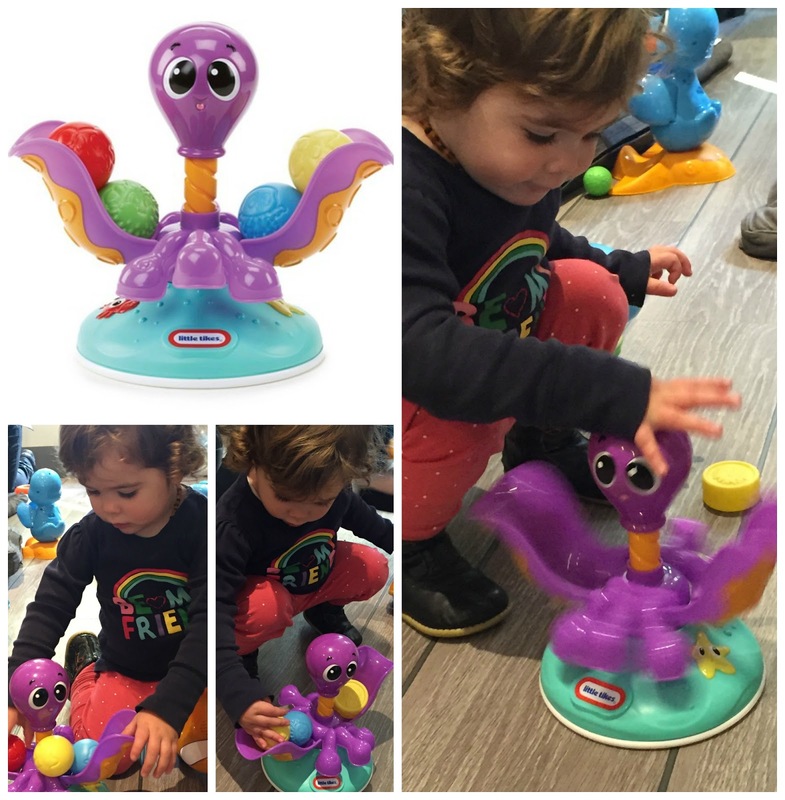 Our verdict: This pull and chatter Lobster has such a adorable little face and the extra movements of the tail and claws makes it even more interesting for the little ones to take him for a walk! 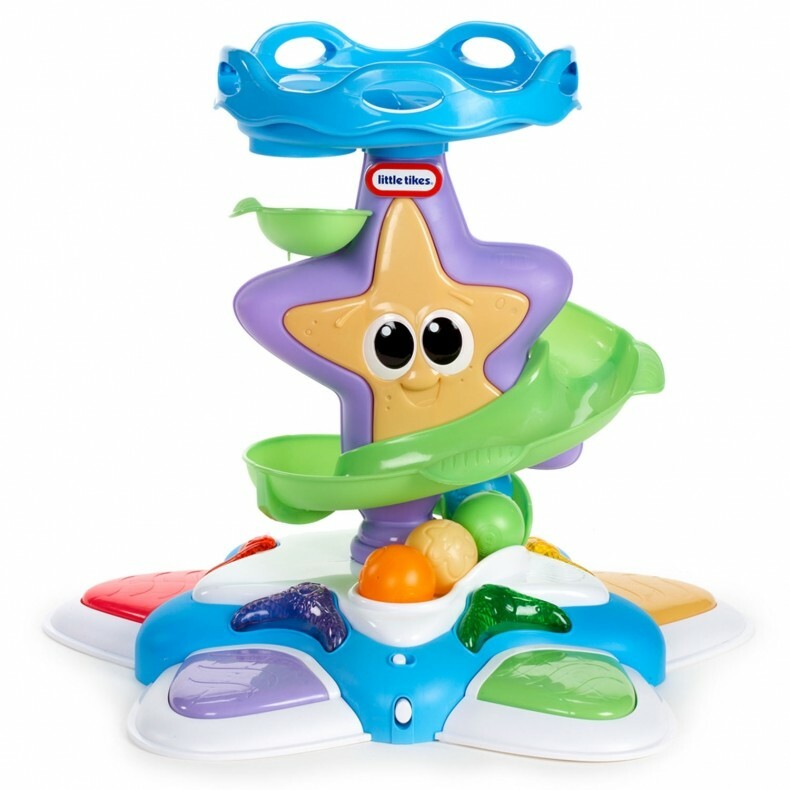 Stand ‘N Dance Starfish (RRP: £29.99). the balls spiral out of control down the ball drop to chase. 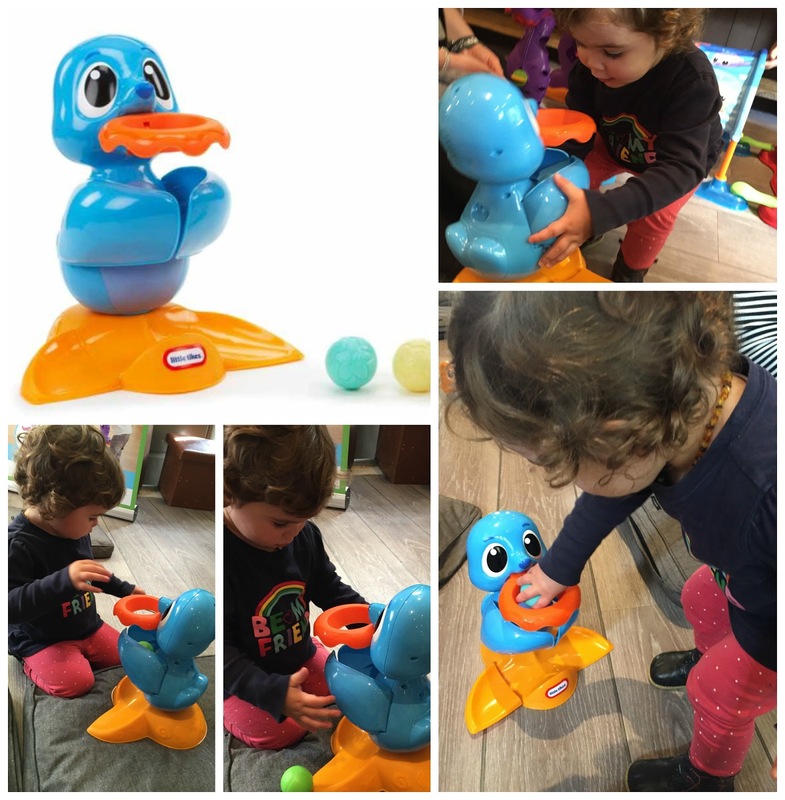 Hours of fun from sitting to standing, to …dancing! Our verdict: This toy is great for all music loving babies Molly-May danced on the light-up keyboard and laughs every time the music came on! Crawl n’ Pop Turtle (RRP: £16.99). A Turtle twist on shape sorting! 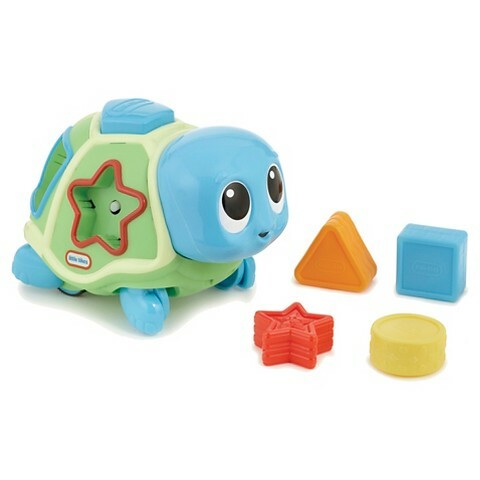 Learn about shapes and colours when placing the blocks into the turtle’s shell. When baby’s ready to crawl, the turtle will lead the way, zig zagging along with lively music. And then, surprise! the blocks POP! out of the shell for Baby to play all over again. Our verdict: Molly-May loved putting all the shapes into the turtle and found it very funny when they all popped put again. Ball Chase Octopus (RRP: £14.99). Put a whole new spin on fun with the Ball Chase Octopus. This adorable sea-creature is big on ball-tossing action. 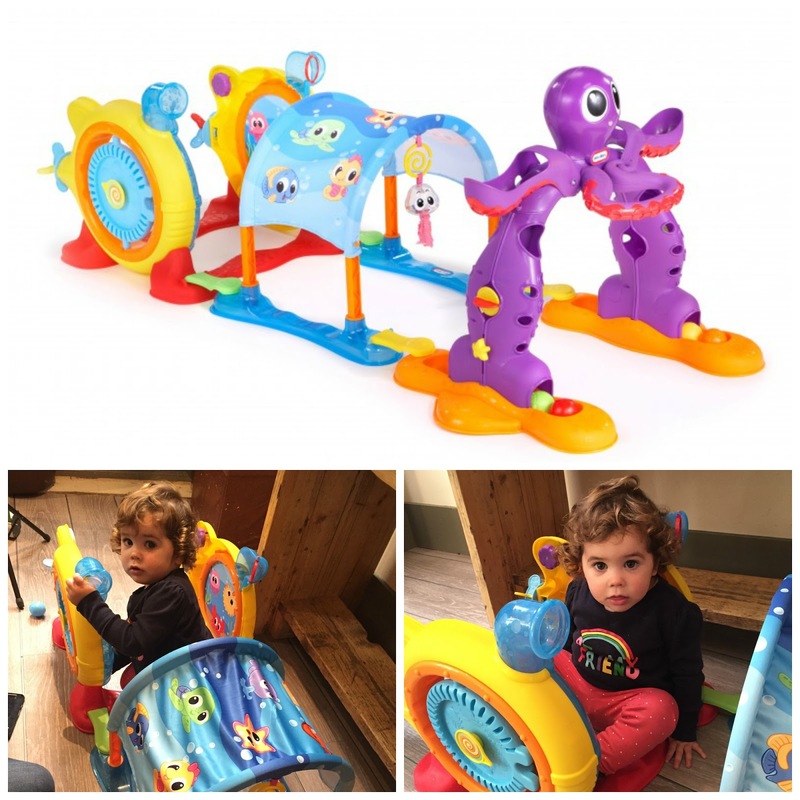 Baby can place balls in the octopus tentacles, then press its head to make it spin and release the balls for baby to chase. Our verdict: Do i have to say more? The video says it all this was Molly-May’s favourite toy and we where lucky enough to get given one in our goodie bag to bring home hours of fun to be had for her and even her older brother Finn (who’s is 5) loves it! Push n’ Glow Fish (RRP: £8.99). and fun to push along. 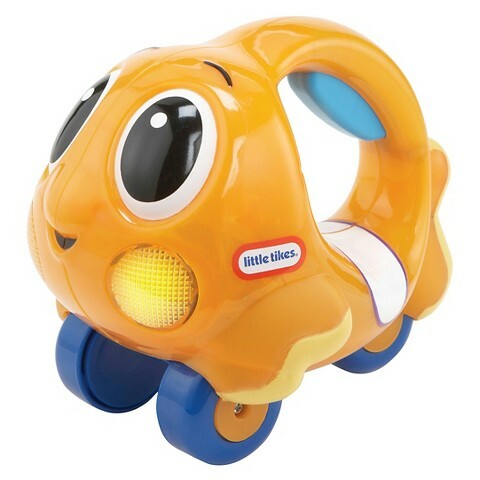 Our verdict: A very lightweight and fun little rolling fish with lights and sounds brilliant for little hands to play with! With products from just £8.99, those little sea creatures defiantly would make a fantastic christmas present for any little one! Head over to the Little Tikes website to check out the full range over here. Disclaimer: I have been invited by Little Tikes to attend the #LilOceanExplorers Play date and i received a Goodie Bag for attending but all thoughts and opinions are my own.